I actually became aware of this movie before the pseudo-barrage of publicity surrounding this film’s release. It was in an earlier issue of American Cinematographer some time last year that I read about the film’s making (the same issue also covered the making of ‘Julie & Julia’). As it turns out, having seen the film, I have to say that the article is nothing too special with regards to the film, because the film itself covered its own making. What did stand out for me was the quality of images. Perhaps that should have come as no surprise, given that the people involved behind this project have an extensive background in documenting such efforts. But a surprise it did become, for this film, as it turns out, developed into a thrilling ride. In the beginning, however, there is Ric O’Barry, a former dolphin trainer who had become famous through the ‘Flipper’ TV show some time in the 60s. 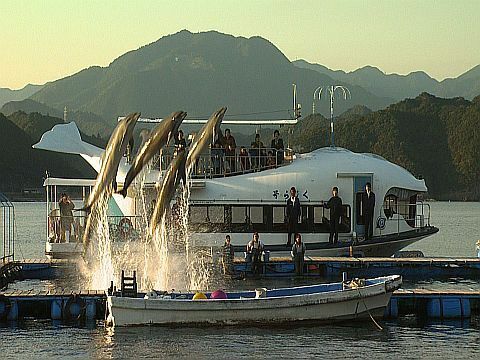 He had trained dolphins extensively for that particularly show, but turned over a new leaf as he realised that while he contributed to their worldwide fame, the ones he had under his care became stressed and depressed. It’s not only from performing for the show, but also of being kept under the kind of care and observation that can be viewed as unsuitable for animals of the wild. “They literally died in my arms,” he said in one of the earlier segments. It would be a moment that would wrench my heart. Truth be told, it wouldn’t be last. The dolphins worked hard for their food. 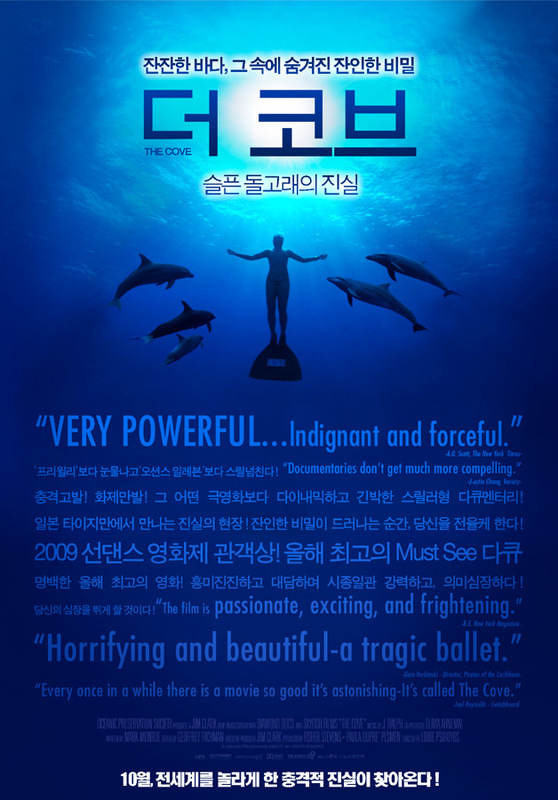 The film follows Ric as he tries to bring as much attention to the dolphin hunting operations in Taiji, Wakayama, Japan. Taiji is a place that is famous for its love of dolphins, but Ric also notes that its peculiar that this place hides a dark secret: there’s a fair number of illegal dolphin killing here. Dolphins are caught and herded into a cove (hence the film’s title), and while some would be kept for sale to amusement parks all over the world, others are mercilessly killed for their meat. Dolphin meat can contain high levels of mercury, but it would also fetch a ridiculously high price. Somewhat predictably, the locals are rather aggressive in trying to protect their little goldmine. It is this barrier of self-preservation that Ric and his team faces. On that note, it has to be said and re-emphasised once again. Ric and his team. The name on the poster lists Louie Psihoyos as the film’s director, but as you keep on watching the film, you’ll realise that it could well have served as something of a mini-biopic on the life and times of Ric O’Barry, celebrated dolphin trainer-turned-superstar activist. Certainly, the earlier parts of the film seems to be highlighting him just as much. And why not? 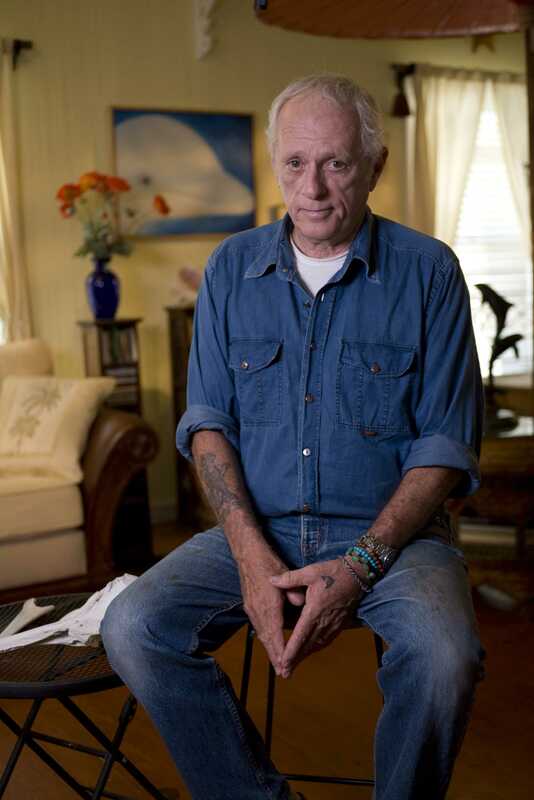 Ric O’Barry is the driving force not just of this film, but of the actual efforts. I believe that while the film managed to capture an essence of his charisma and personality, it doesn’t really encapsulate his achievements as much. The young bucks of the team, some of them world champions in their respective fields, all look to him for leadership and inspiration; it is also Ric to the rescue whenever the Japanese officials knock on their door with the firm intention of kicking them out of the hotel. During the day, the Cylon Flipper was convincing. “If I don’t manage to shut down the cove before I die, I would consider it a failure,” he mused, somewhat regretfully. Holding firmly to the belief that a picture paints a thousand words, he and his team tried hard to document and put on record the activities that went on. It is partly the reactions of the Japanese to these efforts that also aroused my suspicion; though they probably can’t help it, they really do look like they have something to hide. It’s somewhat tempting to dismiss this as a small issue, but throughout the film, with constant exposure to a bigger slice of Japanese society, you do start to wonder how pervasive such an issue is. Just as ‘Food Inc.’ shed some light on how some of the people in power manipulate the law for their own purposes, ‘The Cove’ takes aim not only at the Taiji folks, but also those protecting their interests on the national and international level. For example, there is an international body called the International Whaling Commission (IWC). As you might be able to tell by its name, its main objective is to preserve and regulate the art of whaling. Even here, there are some problems with the definition of what is a whale. Ric believes that a dolphin can be categorically defined as one; the IWC does not. It doesn’t help with the matters, but even though the issue of whaling is raised within the IWC meetings, the Japanese representative would do their best to refute and to seemingly and blatantly lie to everyone else. Far more interestingly, Ric also alleges that Japan induces the support of the smaller nations to their cause by giving them money and building buildings under the guise of international friendship. In one hilarious example, he noted that one of the marine preservation centres that Japan built for one of the Caribbean nations had become a holding house for chickens instead. Chickens aside, the main focus is on the dolphins themselves. I have to admit, there is a big part of me that felt very sad at seeing how such animals are treated in such environments. This, however, has a big thing to do with my own personal experience. One of my closest friends here have just purchased a dog. While the dog is very much loved and cared for, a look into its eyes always makes me wonder what it’s thinking about. How is it feeling? I think at times, she seems rather melancholic and wistful, and I realise that she had been separated from her family. She is nothing more than a pup, but for a healthy sum, she became a business transaction. A big part of me wondered how right this whole system, this whole method is, but then again, this is simply a way of the world. So why do I feel sorry for them? Is this merely a point of view cultivated by the media? Or is it something that I had come to of my own free will? Yellow jackets were never popular, to be honest. In some ways, the same perspective needs, I feel, to be applied here. There is something inhumane, something painful in seeing how some of the dolphins are treated. How much of this is something that we truly believe in? How much of this is merely a ploy that has been performed by the media for years, for decades? How much of this is actually relevant to all of us? It should be noted that the treatment I am talking about here is the calm before the storm. For the storm, the coup de grace of the film, is absolutely horrific. A whole body of water that literally turns red. The sound of dolphins screaming, groaning in absolute agony. Bodies of dolphins on the verge of death writhing, breathing for the final times before being spiked mercilessly. These are merely words, merely attempts at trying to describe something that cannot really be described properly. The visuals induced feelings. The feelings…how to write of them? How to review it? Far easier to write of is the intrepid operations that they all went through in order to put the cameras in the right places. It has to be seen to be believed, because the thrill in preparing for the operation is somewhat interesting. Then again, having cars follow you everywhere is one thing; feeling your heartbeat quicken at the risk of the filmmakers being caught is another. That part is absolutely fantastic, absolutely thrilling. I have to admit that it’s not an easy feeling to recreate, but they did it well (top marks for the editing). Then again, it could be argued that it isn’t a recreation. This is not a fiction film, it deals with real issues, real people. And real dolphins being killed. Fikri thinks he might try some of those night-vision stuff sooner rather than later. “Waterlife” by Kevin McMahon, dealing with issues threatening the Great Lakes, and the people devoted to protecting them is well worth a look. Unfortunately, it seems the hype surrounding “The Cove” has drowned out much of what is to be learned about the worlds largest fresh water supply, even though this documentary reveals what is perhaps an even more threatening development in the degradation of our planets environment.